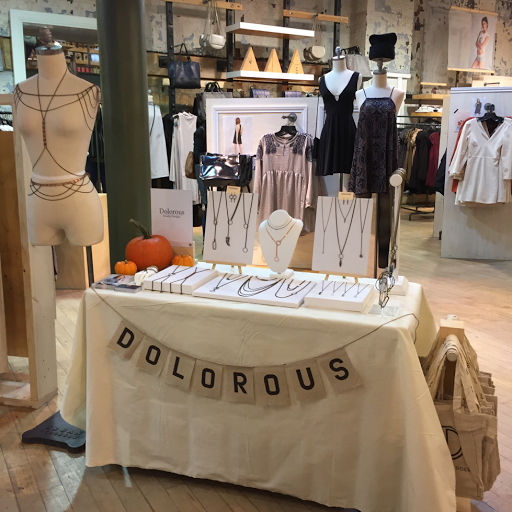 Last week Dolorous Jewelry was lucky to participate in the Urban Outfitters Toronto Dreamers and Doers Marketplace! 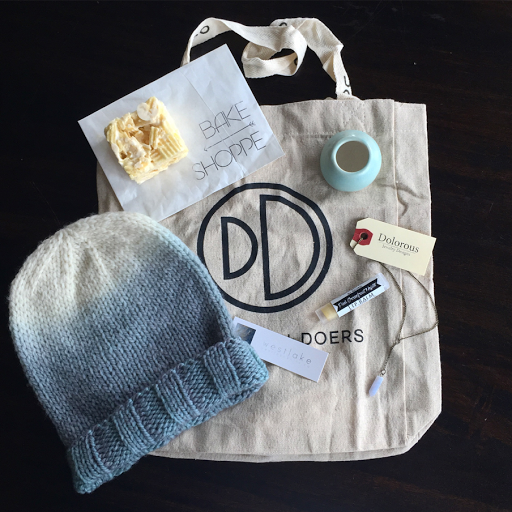 The sale hosted a small selection of amazing Toronto vendors ranging from handmade pottery, homemade cosmetics, handmade knits and some amazing baked goods! 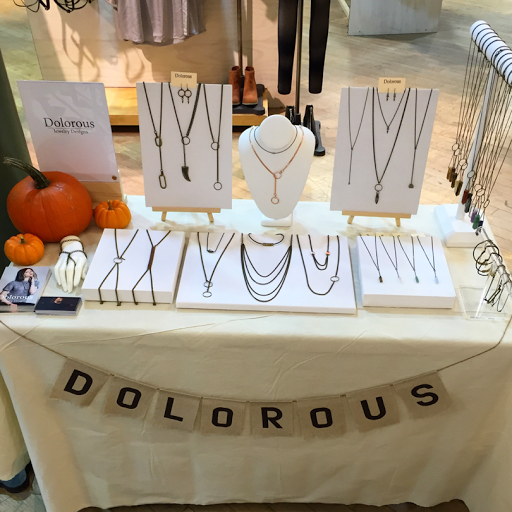 Dolorous Jewelry was there with our signature body chains, best selling necklaces, and a few one of a kind necklaces and bracelets, all at special discounted prices for the UOTO event! 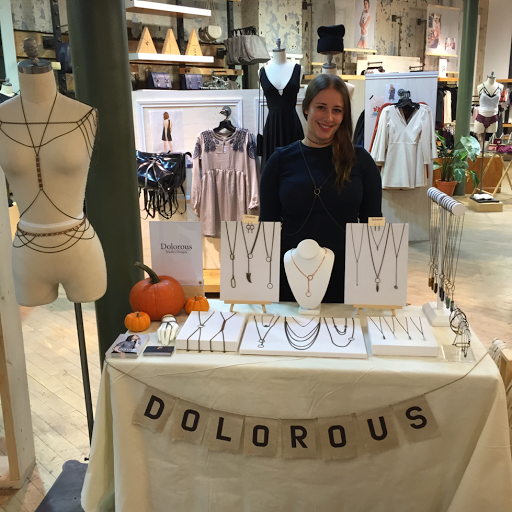 It was such a blast to participate and amazing to meet so many other talented Toronto makers! Here's a shot of our best selling necklace of the night, our limited edition Tiny Crystal Y Necklace along with some of the amazing goods from the other vendors that I was lucky to come home with! There are only a few of those dainty little necklaces left, to make one your own head over to Dolorous.Etsy.com and place your order fast before they're all gone!